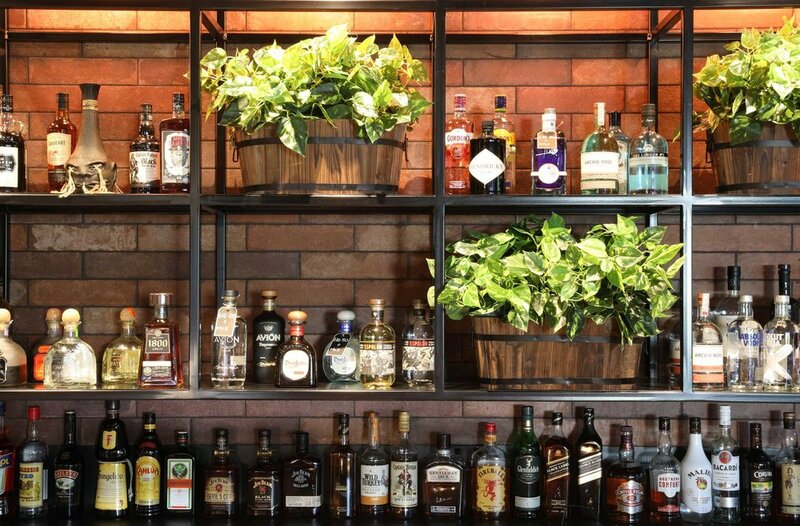 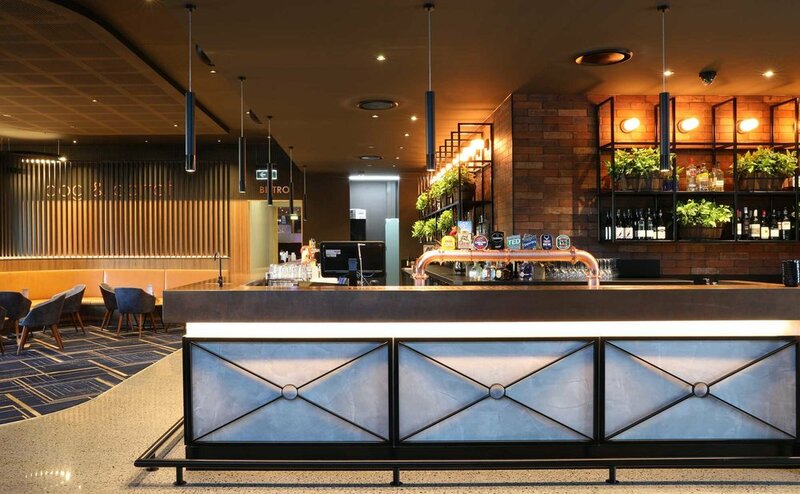 As part of a full renovation and extension to the Dog and Parrot Tavern (located in Robina on the Gold Coast) Cayas Architects have provided Architecture and Interior Design services to the ALH Group to realise their vision for the popular venue. 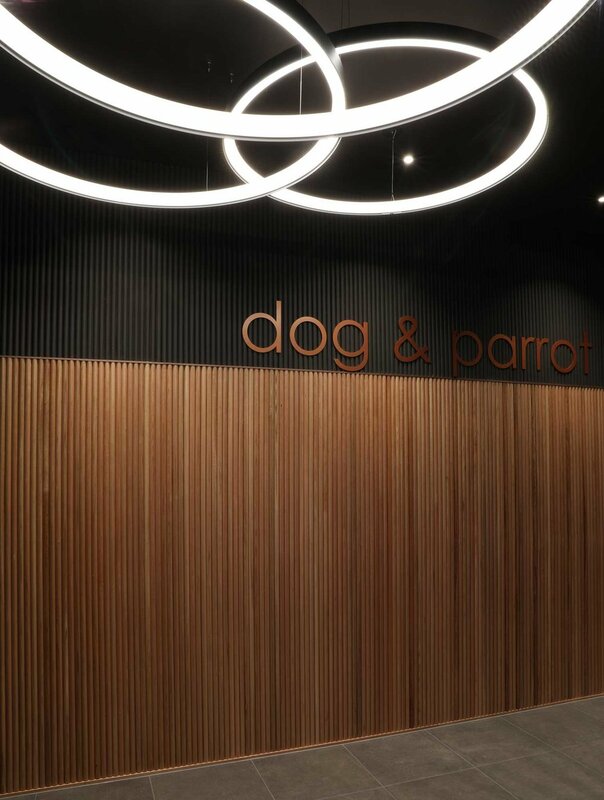 Stage one is now complete, which consists of a sports bar and linked external terrace areas. 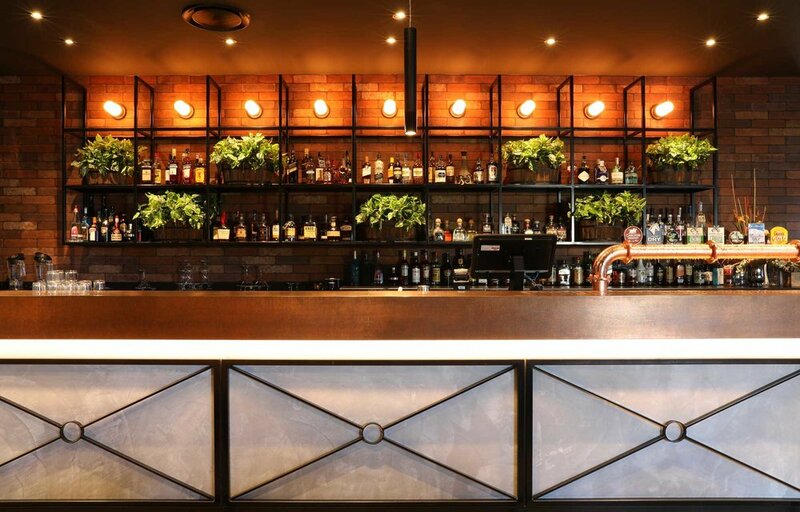 The hand made copper bar top is the centre piece of the space, and sets the tone for the palette of materials used throughout. 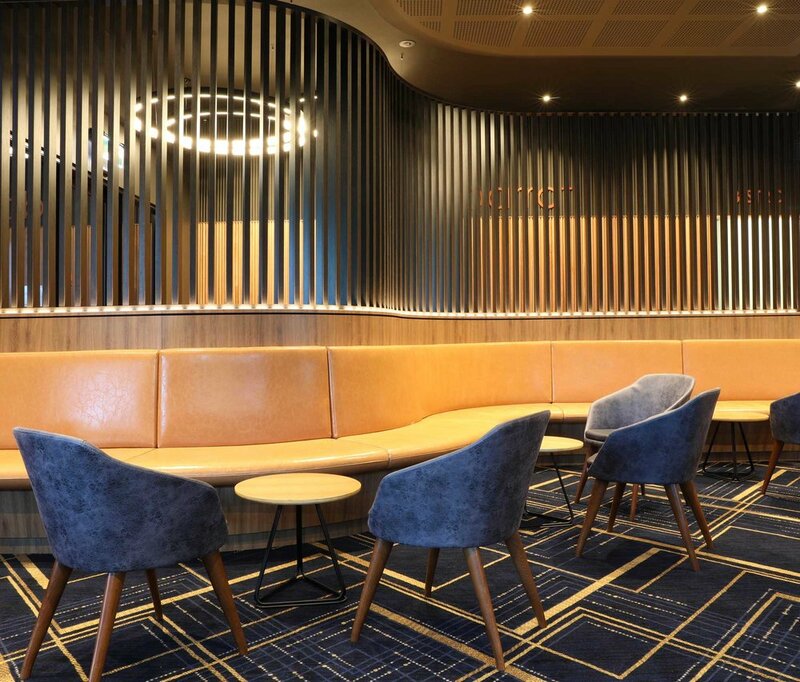 Bold lighting, textural surfaces and layered screening elements work together to define the space, with touches of leather, custom designed carpet and greenery adding a softening touch.